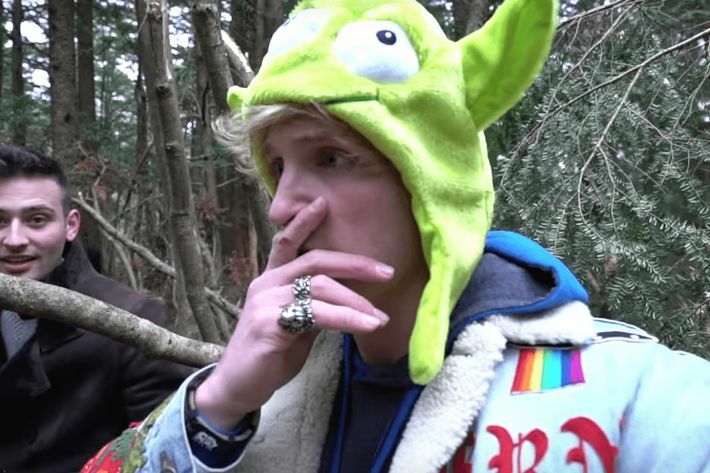 Logan Paul’s proven time and again that not only can he take a nutshot (or 10), but that he’s stupid enough to do just about anything, whether that be blatantly disrespecting an entire culture or giddily filming the time he stumbled upon a suicide victim while wearing a Yoda hat. Despite making a documentary that will no doubt teach us that, no, he’s actually good, Paul’s face has nevertheless emerged as one of our country’s most punchable; the surprising thing is that he actually agrees. Somewhere, Conor McGregor is spitting out a bloody bit of gauze and punching a hole in his iPad. Speaking of McGregor, Logan and Jake think it’d be “dope” to square off against the Irish mauler. More realistic, however, is CM Punk, who’s the first name Logan rattles off, likely due to the former WWE star’s lackluster showing so far in the Octagon. Regardless of who Paul locks horns with, it’s likely that the next dead body that gets frivolously vlogged about will be his own. Clothing brand desperately attempts to distance itself from Logan Paul&apos;s "historical record of inanity"